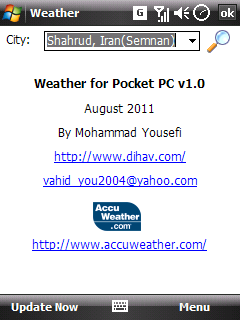 This program made to display AccuWeather.com weather data on the pocket PC. 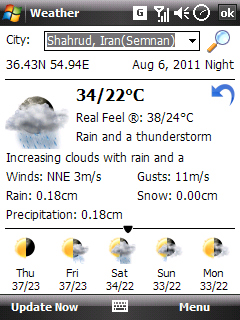 There is also a Today item to display weather data on the today screen. 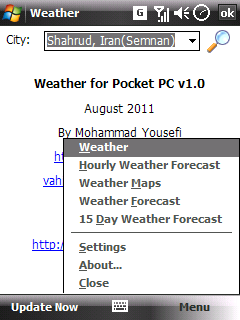 You can save the cities you want to know about their weather condition. You can have more than one city on Today item. 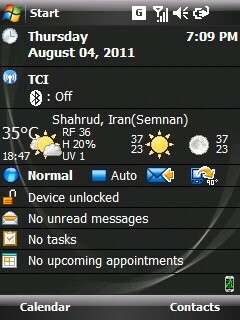 You can also configure program to connect to internet automatically and update weather data on certain time intervals. This program is made by C# (VS2008) and C++ (PellesC). If you want to buy the program source code, click the below link to add it to your shopping cart. After making the payment the source code will be sent to your email address in 2 days.